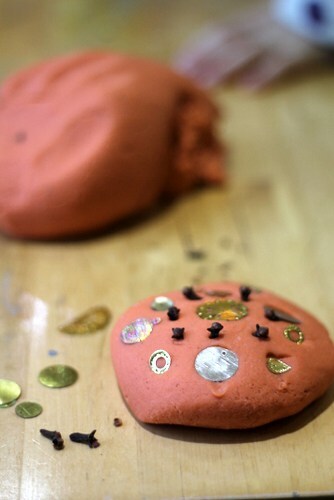 This sensory play ideas combines the scent of Christmas with some hands-on fun. 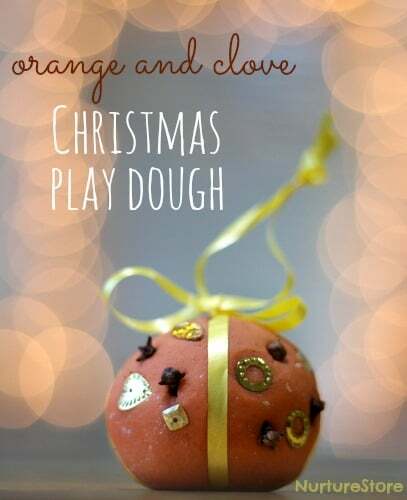 I made the dough using my favourite easy play dough recipe, with some added orange oil, ground ginger, ground cinnamon and a few crushed up cloves for a festive smell. I used a squirt of orange paint, with just a little brown paint too, to add some colour. 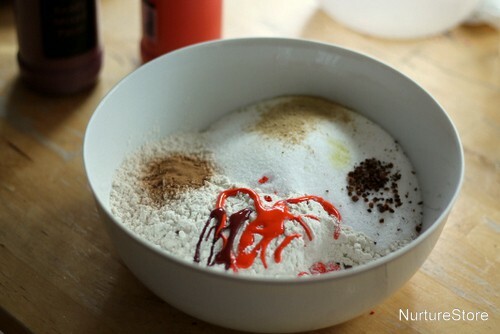 Mix all the ingredients together in a bowl to form a dough, and you’re ready to play. 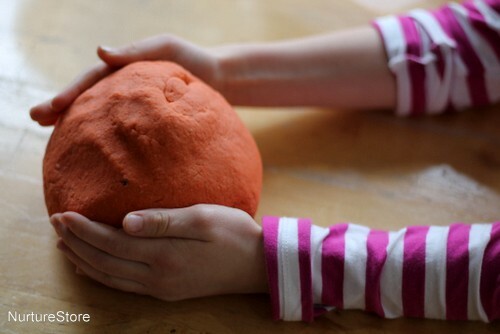 The play dough as a great texture to squish and squash and make with. 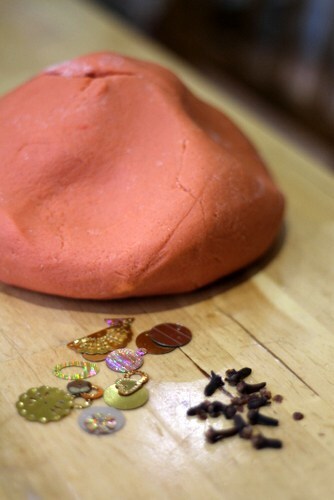 You might like to add in some loose parts, so you can decorate or make patterns in your play dough. We used some gold sequins and foil shapes and a few extra cloves…. 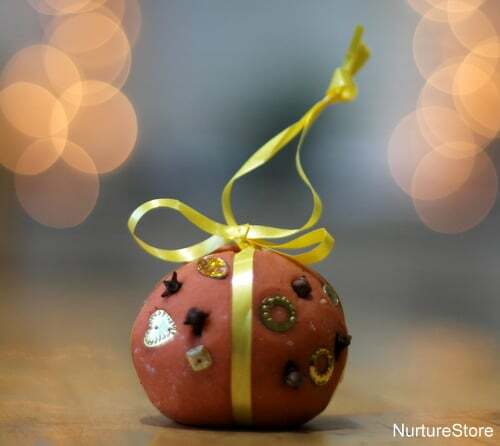 and made pretty patterns and even a traditional Christmas orange pomander ball! Every child deserves to be have their needs met so they can thrive. That’s why I’ve made you my free Super Sensory Starter Kit. Do you feel like your child is measured too early against unrealistic standards and you know they need more sensory input, more fun, and more hands-on activities? Maybe you're a parent who wants to get your child away from a screen and into active play. Or you have a special sensory child who needs their own sensory diet. Maybe you're a childminder or a nanny who needs to balance activities for a range of ages, with a tiny budget for materials. Perhaps you're a teacher who truly wants to have a play-based classroom, but you're already stressed by the demands of observations and administration. Or perhaps you're a therapist or specialist who needs ideas that colleagues and parents can use. My free Super Sensory Starter Kit will give you the tools you need to successfully tune-in to your child and help them be happier, calmer, and more successful at learning and life. * Your data is safe with us. Learn how we hold, use and protect it. A deliciously educational unit of learning! 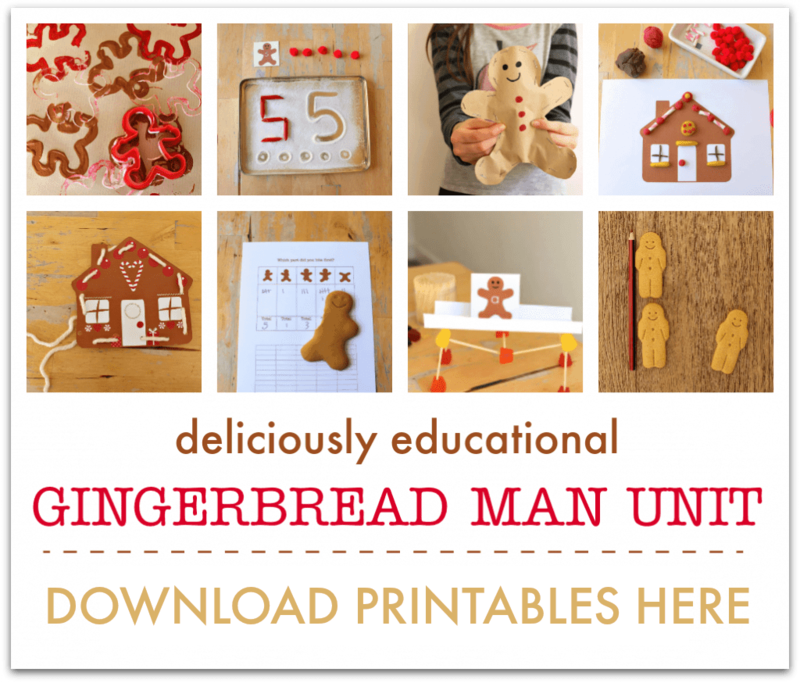 The Gingerbread Unit gives you everything you need to teach an engaging program of activities all based around The Gingerbread Man. 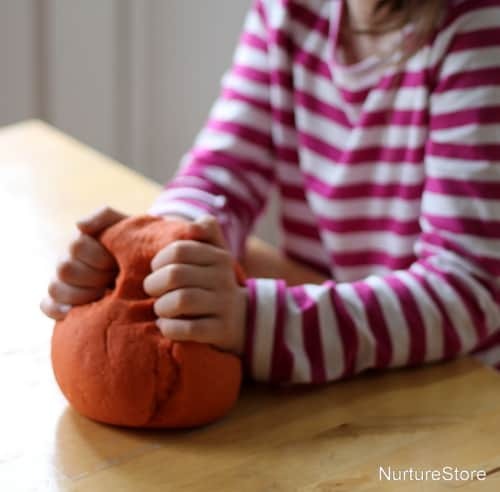 With ideas for math, literacy, science, play, sensory, arts and crafts your children will love learning through baking, play, and exploration. :: materials lists and bonus printables make it so easy! Click here to get your complete Gingerbread Unit. What is the recipe for this? I clicked the link but it would not show any recipe. I may be because i am on mobile. Help your child be happier, calmer, and more successful at learning and life. 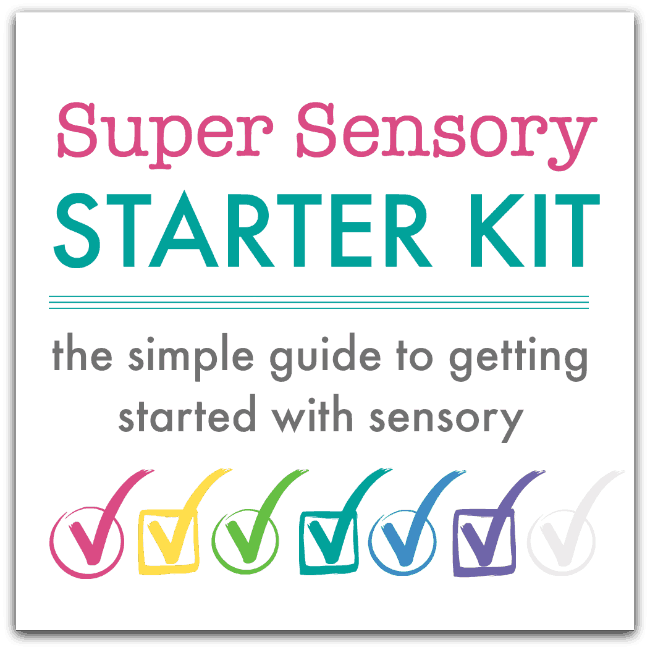 Enter your email below to get the FREE Super Sensory Starter Kit.